LOCK DOWN MODE. It is time to consider your surroundings. Aren’t you alarmed at what you see? Does it not bother you how fast the downward spiral is! Can we begin now to admit that no earthly force, source, or resource has the answers? Man has tried and man has failed. Mankind needs the intervention of the Creator. The reason it does not work without JESUS CHRIST is because the manufacture knows the product best. Sovereign is our GOD. I believe Jesus Christ will return soon. No one knows when. Not even the angels in heaven know. But this one thing is sure: CHRIST WILL RETURN. From what the Scriptures have foretold, the signs of the times are everywhere. Shift your gaze. Secure your place in eternal life. The way to living forever is through Jesus Christ. The way this planet looks now … It cannot be too far ahead before every eye shall see HIM and know who HE IS. JESUS CHRIST SAVIOR of the WORLD. Jesus Christ loves you with an unconditional love. Every morning God Almighty supplies new mercies unto you. The Lord delivers your sufficient grace. God's love takes into account all your flaws, and Christ bestows GRACE greater than all your shortcomings. It's called Love God's Way. Free gifts of grace and mercy--gifts that come at no charges to you. The kind of LOVE which keep on giving, and giving, and giving, and giving. And giving! Love flowing freely to set you free. That is Jesus. Stop beating up on yourself. You have been forgiven—Accept it. Embrace the love of Christ. Receive your daily dose of new mercies and endless grace. My divine assignment from Jesus Christ is to proclaim the Word of God, and speak to hurting people—specifically, people on the continent of Africa. I live to do it for Christ. Shortly after the miraculous divine encounter that was my call to ministry, The Lord Jesus gave me the vision of Do It For Christ Ministries: To build Spiritual Rehabilitation Campuses in the four corners of Africa. Kindly visit the website to know the blueprint of this huge assignment. Learn about the VISION and read our TOUR MESSAGE. The West African in me makes a point to review Africa’s headlines, news, and events every day. My heart lives in two continents—America and Africa. I keep abreast of happenings in my birth country, Liberia, as well as neighboring nations. Yes, Africa, too, is on God’s mind. Africa is in the Lord’s heart. Africa is a part of Christ’s agenda. Yes! There is hope for Africa. Africa can and will rise above its problems. Being an African means to remain hopeful. That is all most Africans have from day to day. Hope. All Africans must dream big for our continent. It’s about preserving our heritage. I, too, have my personal big dreams for Africa. I am glad when leaders do good things for Africa. It makes my heart swell whenever a “first” happens in any African nation. If I may stray a bit today from observing Holy Week. And say my small piece in African politics. Great leaders are not made. Great leaders are borne endowed with tendencies which define greatness. Greatness is often fully revealed only when legacy is unveiled. Legacy defines great leaders. African leaders who touch their peoples lives are usually unrecognized until much-much later, when comparisons are made between “lives touched” and “no touched” lives. Great leaders lead by greatness of character. Humility is not a great strength of most African leaders. So, for my part, humility shown by an African leader is a great godly legacy bestowed on the Continent. Graciousness by an African leader in the face of defeat is a great service rendered the Continent. Such leaders are Institutes within themselves. Mr. Outgoing President of Nigeria, congratulations on the example you have set. Africa will remember you with high regard. To love the people you lead way more than your love for self-ambition, defines great strength. Those names missing from this, my short list, thank you. Goodluck E. Jonathan, thank you. Charles Gyude Bryant, thank you. William R. Tolbert, Jr., thank you. Jerry J. Rawlings, thank you. Iconic Nelson Mandela, thank you. Should your name appear on the list above The Honorable Mr. President, in my capacity as Servant of the living God and anointed by Jesus Christ, I am asking YOU to establish yourself as an Institution. Train and coach young aspiring African leaders—New breed of leaders who will lift and carry the Continent into the new Africa which is emerging. Sir, you have held the Highest Office in your lands. Gather others like you, and together begin. You all do not have the luxury of fading away. You could never be oblivious to Africa’s future. Mr. Former President, you do not have the right to decline Continent mentorship. Africa needs you. There are lessons you must teach the upcoming generations. Make it so that many would sit at your feet and learn. Africa needs you of such caliber. Now. While the world tarry before Christ return. Before we no longer need this world. GOD HAS SPOKEN. For every situation under the sun the Word of God has brought comfort. There is a popular gospel song with the lyrics, “… Let the Church say Amen … God has spoken. Let the Church say Amen!" (M. Winans). I like hearing when God Almighty speaks. The Word of God is the Holy Bible. I love to read God’s spoken word. I enjoy the Bible. The messages are alive. Vibrant for the soul. For every circumstance, good or bad, life has sent toward my direction it is Scripture which has withstood with me. Ah, my friend, God’s word is potent! God’s word is timely. God’s word is relevant. God’s word is full. God’s word is recent. God’s word is final. God’s word is it. The Church is the collective body of believers in Jesus Christ. Christians as a whole is the Church. Certainly God speaks through chosen vessels, but the Word of Almighty God stands above all. Indeed, Scripture states: “The prophet who has a dream, let him tell his dream; but he who has My Word, let him speak My Word faithfully. What has straw in common with wheat [for nourishment]? Says the Lord. Is not My Word like fire [that consumes all that endure the test]? Says the Lord, and like a hammer that breaks in pieces the rock [of stubborn resistance]? (Jeremiah 23:28-29 Holy Bible Amplified Bible). Ah… how I wish the Church would always say Amen to the Word of God. Oh!...that the people created by Almighty God would take The Lord at his word. How I pray all Christians would fearlessly proclaim the name of Jesus Christ—proclaim and shout out loud—to the ends of the earth. Oh! That the Church of Jesus Christ would say Amen to the truths Almighty God has spoken. God’s Word is It. God’s word is final. A fact of life is there are many religions on earth. Mankind is free to choose whichever. A fact of life is, “God sent his only begotten son that whosoever believes in Him shall not perish but have everlasting life.” This is truth. Mankind is free to accept or reject the truth. Whatsoever! God Almighty does not force anyone. No, God does not compel you to accept his truths. God does not mandate mankind to accept his Salvation plan. The Lord gives each person freedom to choose. Until the heavenly Trumpet sound cracking open the skies to reveal the Son of God in all HIS GLORY, you are free to choose whatever you want to believe and whatever you choose to worship. You are free to reject Jesus Christ. God has respected you enough to grant you freedom of choice. The Lord will uphold the choice you make in this matter. No forcefulness whatsoever! The Lord loves you enough to let you choose Him or anything else. Awesome Creator that he is! Deny him, reject him, he still loves. Until the day Jesus comes to judge the world. That's the day you live completely with your choice. Amen. Be on the lookout, my friend, because one day soon... Here is Truth: “One day every knee will bow and every tongue will confess that Jesus Christ is LORD to the glory of God the Father.” There is TRUTH. That’s it. Hallelujah. Amen. God’s word is truth. God’s word is final. 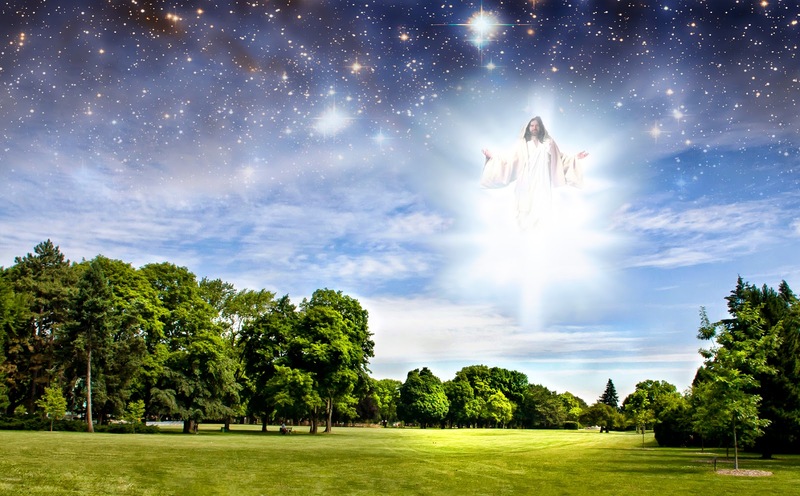 God has spoken there is only one way to Almighty God—only ONE way to eternal life—Jesus Christ. That truth will stand the test of eternity. Jesus Christ is God. True, it is a mystery. 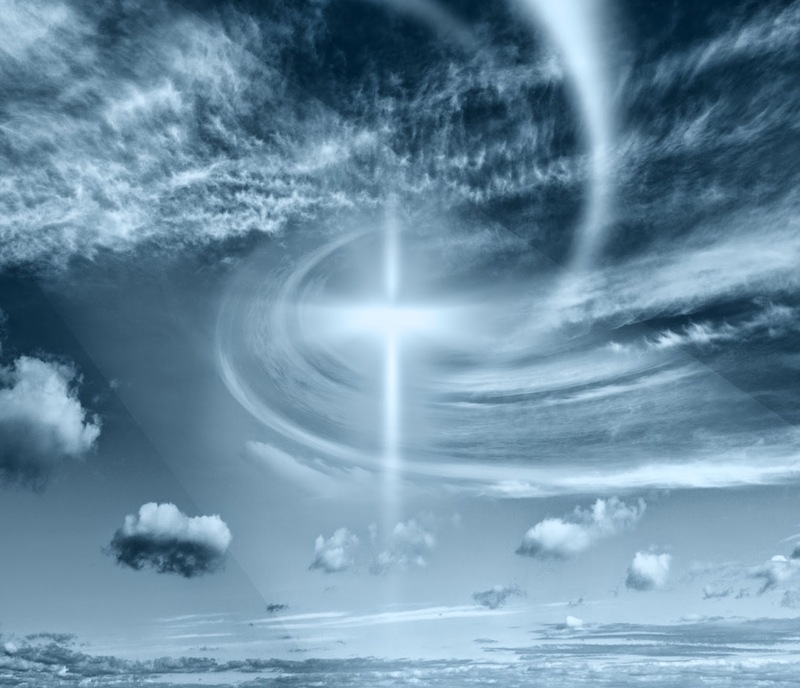 At the end of time, when time and space are no more, Jesus Christ will reign over all. God Almighty has proclaimed Jesus Christ KING OF KINGS and LORD OF LORDS. Say Alleluia now or say Alleluia later. Your choice. God’s word is final. God’s word is it. I agree End Times is a mystery. Yet to fully unfold. So, too, is Death. I agree Eternity is a mystery. Is not Life itself a mystery? You and I live it to the fullest. Don’t we? You know very well we do! We do not know if tomorrow will come or what tomorrow holds, but we plan today for tomorrow. We believe that we will breathe and our bodies will function and we will continue… Until one day this robe of flesh refuses to go one inch more. You can do absolutely NOTHING about your last day. Except to TAKE YOUR FINAL BOW. And for everyone else life goes on....until their turn....and life goes on....until their turn….and life goes on. There is comfort in knowing God has spoken as well for that day. God's Word is it. It’ll be nice to know Jesus Christ awaits you on the other side. This is what the LORD has promised. Hallelujah. Amen. My friend, God speaks directly to you. God’s Word is it. GOD’S WORD IS FINAL. Let the Church say Amen. God has spoken: “You must not misuse the name of the Lord your God. The LORD will not let you go unpunished if you misuse his name." God has spoken: “When the wicked increase, transgression increases, but the righteous will look upon their downfall. The Power of the Resurrection should equip you to resurrect your own life from grave situations. Begin a new day today. Turn a new page. Flip over a new chapter. Breathe new life into old spaces. Give that loved one another chance. Better yet, give yourself a chance to experience a new outlook. Take it one step at a time. With Jesus. 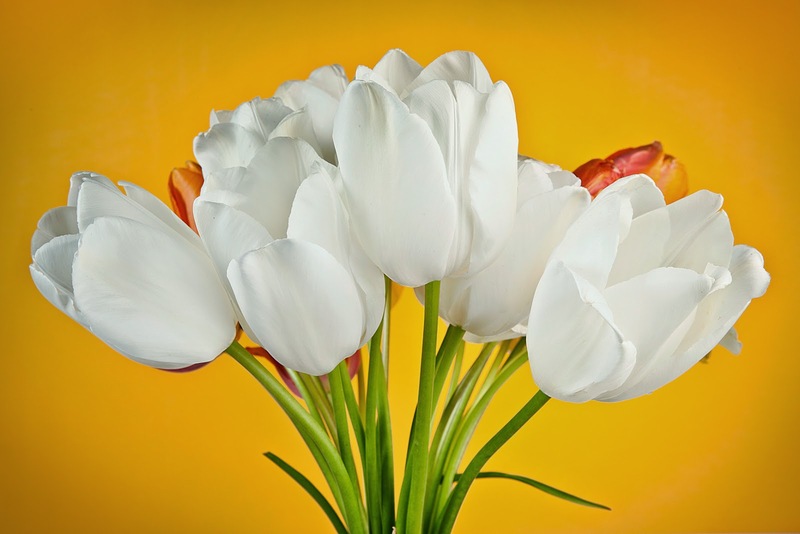 Watch old seeds bloom fresh buds into your space. 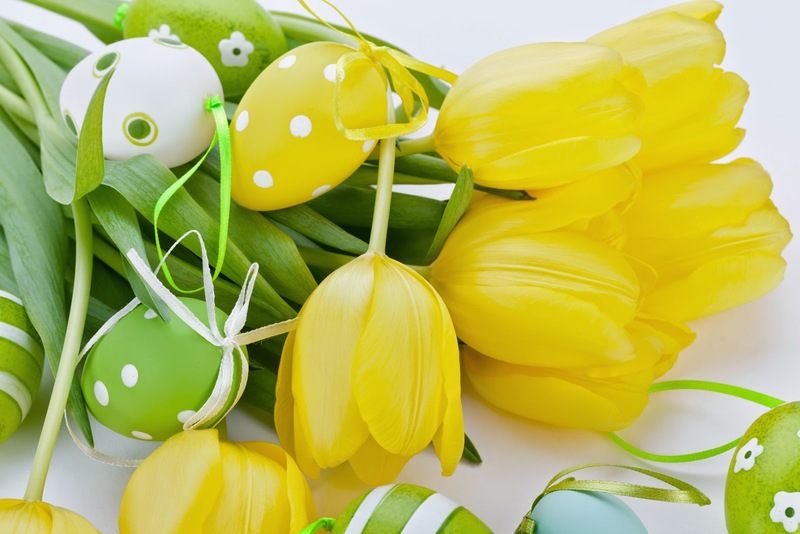 Happy Easter Monday, Tuesday, Wednesday, Thursday, Friday, Saturday, Sunday …Happy Resurrection to a new you! Love and Joy always. THE CROSS IS EMPTY. THE GRAVE IS EMPTY. THERE IS NO ONE IN THE TOMB—Christians rejoice! Our God lives! We get a chance to live forever because of what happened on Easter Sunday. The Resurrections give us the purpose to believe in our faith as Christians. The Resurrection of Jesus Christ is the foundation of the Christian faith. The Resurrection of Jesus Christ is fundamental to the Christian’s claim that Our God is the Only True Living God. Christ death and resurrection is reason for our hope. Because HE lives we, too, will live forever. On Easter Sunday JESUS CHRIST AROSE FROM THE DEAD. The grave was unable to hold God down. When you look around you, and you check out all the other Gods, you will find that NONE of those Gods is alive. They have all died like mortals. They are still dead, and they will remain dead and buried in their graves until Jesus Christ returns from heaven to earth at the end of time, to judge the world. Why would anyone want to worship a dead God? How possible is it that a dead God could truthfully, promise life to you? Jesus Christ is the only God that died and today He is living. Jesus got up from the dead and He is still alive; walking, living, breathing! HE IS ALIVE. Furthermore, Christ lives in the hearts of all who would accept Him as your God, Lord and Savior. Our God lives in our hearts. Our God can put food on the table. This God I’m talking about can heal the sick. He delivers the captives. Jesus Christ can bind broken hearts. When you are sick you need a living doctor to heal you. Christ has the power to forgive sins. Our God Almighty rewards with abundant life on earth, and eternal life in Heaven. Those dead Gods can do nothing for you. Stop wasting your time behind false Gods and idol worship. Throw those things out of your life. There is a God which is alive. Almighty God who thought enough of you to die for you is alive in you. HE IS ALIVE. BEHOLD HE COMES…JESUS IS RISEN. CHRIST HAS RESURRECTED FROM THE DEAD. JESUS CHRIST IS ALIVE. HALLELUJAH! HALLELUJAH! HALLELUJAH! CONCENTRATE on what Jesus Christ did on the Cross. Picture that you are the one standing there jeering at Almighty God. See yourself as part of the angry mob. Imagine you are the evil person shouting, “Crucify Him! Crucify Him!" Every act of your sin pushes the Crown of Thorns deeper into his head. 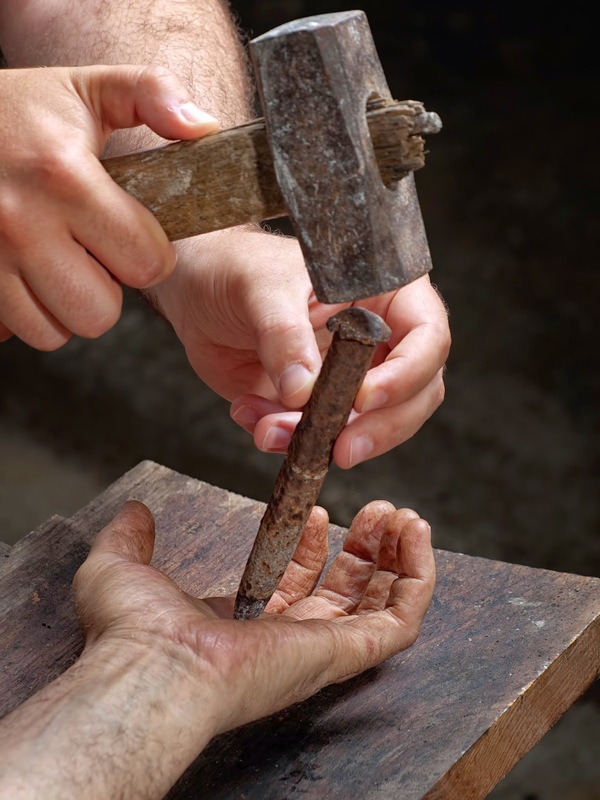 Every act of your sin drills the nails deeper into his hand. Imagine you are responsible for the blood gushing out of the Master's side. Oh wretched sinner that I am--save me Jesus! It is that wasted BLOOD which is the cleansing fluid for your life and mine. Do you even try to make your living worth the Blood! Would you let Christ spill HIS precious blood for nothing? How could you reject Salvation. Can't you see Love Personified on the Cross! Reevaluate your life to see how much your life glorifies Jesus Christ. If you are not satisfied with what you come up with, it’s not too late. No matter the results you arrive at there is hope for you. The Hope of Salvation. Jesus Christ can wipe away every vile trait from you. Christ loves the sinner you are. The LORD despises your sin, but make no mistake you could NEVER out sin God's love for you. Jesus Christ absolutely loves the sinner you are. Come to Him and be made whole, forgiven and free! The Blood cleanses. Begin a new life today. ONLY THE BLOOD OF JESUS CAN WASH AWAY YOUR SINS ... No matter how sin is packaged, sin brings tremendous sufferings. Jesus Christ was SINLESS, but The Lord was dying in your place and mine. We deserved the sufferings. Jesus bore our sufferings. The least you could do is be grateful for a Savior like Christ. No one could ever love you more! Who else would die for sinful, wretched ungrateful, unappreciative people like we are? Only the ONE who loves you so much that He would gave His life in exchange for yours. Salvation is yours today. Reach out and be made complete. Nothing but The Blood can wash away your sins and mine. Race for the Blood. Nothing else would do. Lest you forget, my friend, only one drop of The Blood can wash away a multitude of sins. Sin is a disease. Sinful living is terminal illness. Is that what you want—to be terminally ill for your entire lifetime? Choose Jesus. The Blood is the required medication for curing sinful lifestyles. Be cleansed today! Fill your prescription immediately by accepting Salvation. Race for The Blood of Jesus Christ and be made well.